Successfully Added Forecum Wireless Doorbell - 36 Chimes, 4 Volume Level, LED Alert, Long Range, Low Power to your Shopping Cart. This Wireless low powered door bell is a must-have for today's homeowners. No more unsightly wires or timely installations. You won't even need a toolkit for this sleek and modern doorbell from renowned manufacturer Forecum is the perfect addition to any modem home. 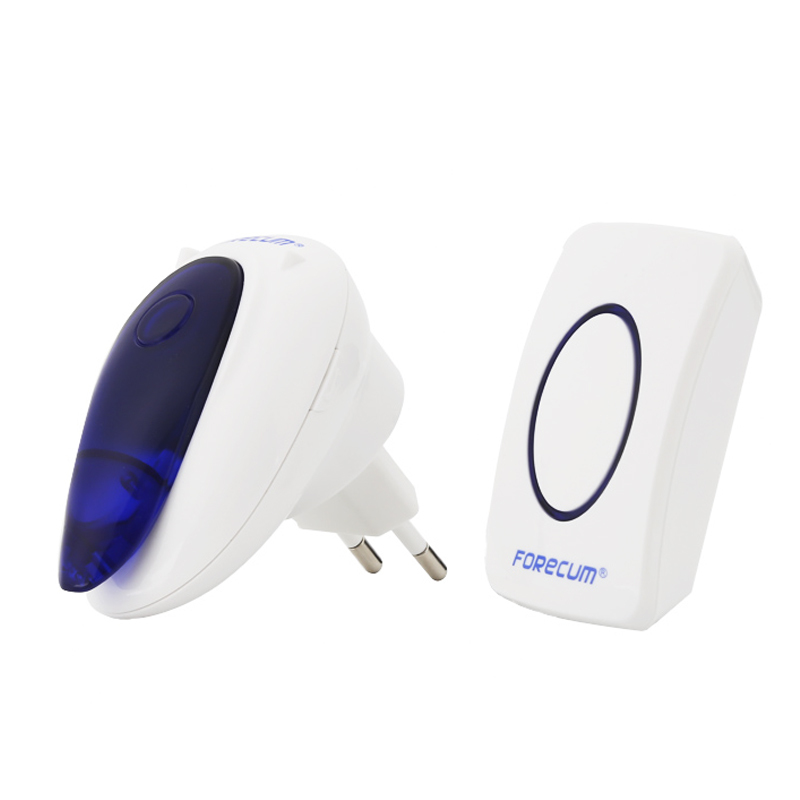 Coming with a 3M adhesive pad the Forcrum doorbell transmitter can be easily mounted wherever you need and an impressive range of between 200 to 300 meters means the doorbell receiver can be placed just about anywhere in your home of office. There are 36 chime options to choose from and an on button adjustable volume button to switch between the 4 volume levels and even include and LED visual alert which is beneficial for those with difficulty hearing or when the volumes is switched down if a young one is taking a nap. The transmitter runs solely on a compact replaceable battery making it wireless and portable so it can double up as an assistance alarm for handicapped, elderly or bed bound individuals. With the receiver running on mains power it can be plugged into any socket in your home so you can set it up in any room you desire and easily change its location should you need. This Wireless Doorbell comes with a 12 months warranty, brought to you by the leader in electronic devices as well as wholesale door bells and home security systems.. Item is very accurate and very quality. There are no bed points.